Welcome back, to another Wednesday! I had a hard time recording this week's video due to my sore throat. However, I managed it some how. Please excuse my coughing which is refusing to leave me for past three week. 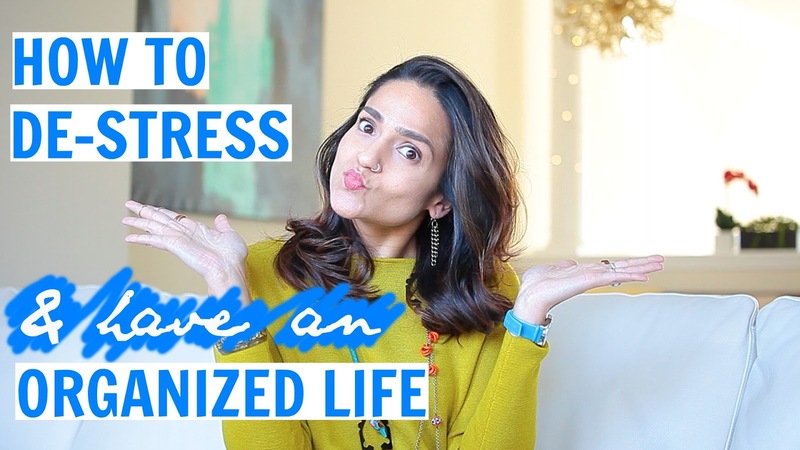 Moving on to this week's topic: I am sharing some of my new and old habits which have helped me de-stress and organize my everyday life. I hope you find them helpful and if you have any that you follow, do let me know in the comments below. P.S. I am glad you guys liked my last week's video on Productivity in Blogging. If you have any other blogging related questions, or anything that you would like me to make my next videos on, feel free to fill this survey / Facebook / Tweet / Email me. Some really great tips, thanks for sharing! Such a cute video Tanvi! Love this for the new year! Great tips! Definitely will try them! Thank you for your tips! My goal this year is to be organized! These are great tips, I want to be more organized this year especially just keeping blogging and life in order. Thank you! I definitely need to take some of these tips to be more organized in the new year! Girl I did not know you had a youtube channel! That's so cool. I'd love to apply this tips to my life. I'm a mess lol. My goal this year is to destress and organize. I need to apply some of these tips! Definitely need to take these tips and get more organized this year!! !